Want a positive financial return on your degree? Try electrical engineering or computer programming. Maybe advertising, or even drama. But don’t become a teacher. 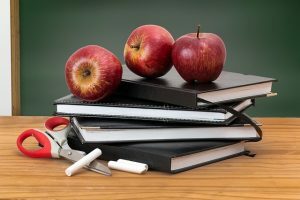 Michigan State University’s annual report on starting salaries by college major show the average middle school math and science education major can expect to earn around $38,706 upon graduation. Pre-k and kindergarten teachers take the bottom spot, at $35,626. 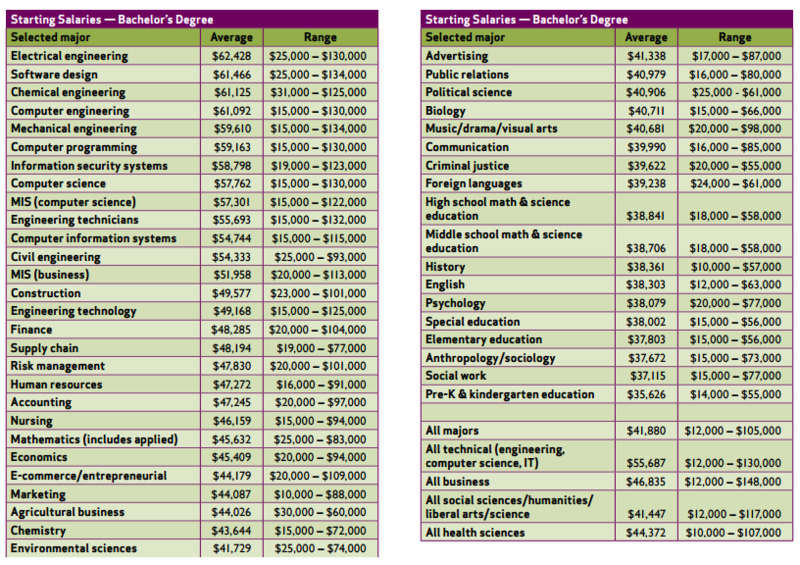 While it isn’t terribly surprising to see a chemical engineering major starting around $61,125, even music/drama/visual arts majors beat out teachers, averaging $40,681. But it gets worse: When compared to similarly educated workers in other developed nations, American teachers are exceptionally underpaid. In developed countries, the Organization for Economic Cooperation and Development found that the average middle school teacher makes around 85 percent of what other college-educated workers earn. 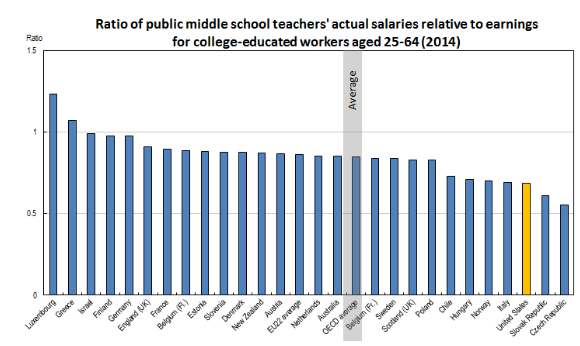 But in the United States, teachers fare even worse. In 2014, the average American middle school teacher earned just 69 percent of what her similarly educated peers made. This gap is disheartening, to say the least, and doesn’t speak particularly well of national priorities. These gaps are even worse for the 76 percent of American teachers who are female. Most strikingly, we know that when women enter male-dominated fields, average salaries drop. We know that despite making up the majority of the teacher workforce, and thus often the principal and superintendent hiring pool, women are less likely to become school administrators. We know that it is especially bad out here for women of color. We’ve debunked argument after argument used to explain away low educator wages, arguments which cite everything from summer vacations and pension benefits to innate altruism and family flexibility. We need to pay teachers more, because we need to pay women more. We know that high-quality teachers have lasting, positive effects on their students’ future earnings. All that said, this discussion is nuanced. Teacher accountability and professional development matter — while we must reexamine abysmal starting salaries, I’m not suggesting we simply raise wages and then stand back and wait for greatness. But I am suggesting that we consistently devalue the work women do, and when considering Equal Pay Day, we should start with teachers. Read my colleague Marnie’s Equal Pay Day post here. 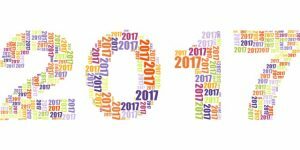 This entry was posted in Equity, School Leadership, Talent, Teacher Effectiveness and tagged Equal Pay Day, teacher pay, teacher salaries on April 4, 2017 by Kirsten Schmitz.